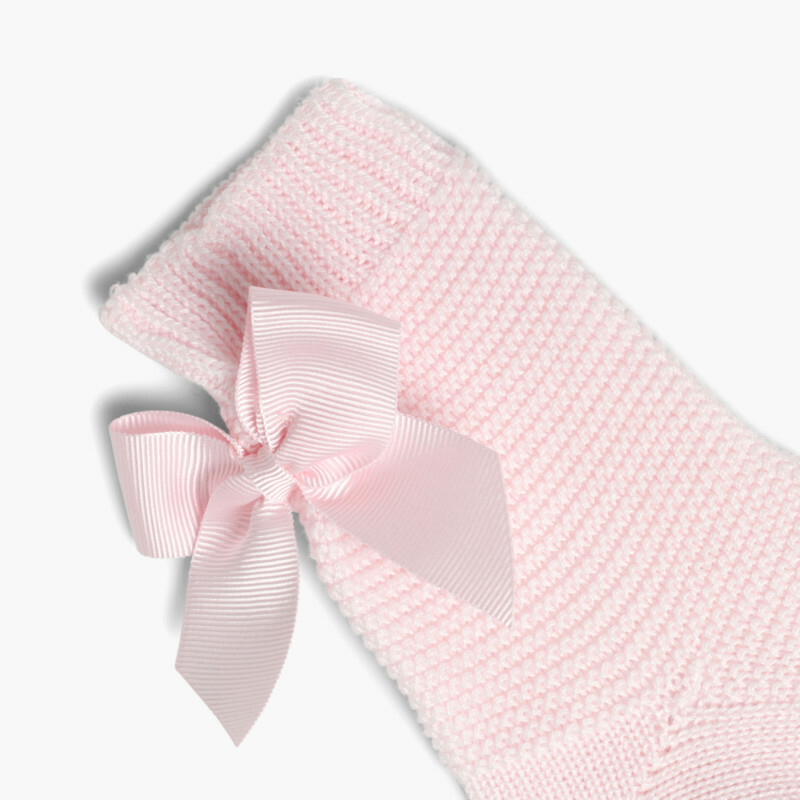 Do you want your little girl to look perfect? 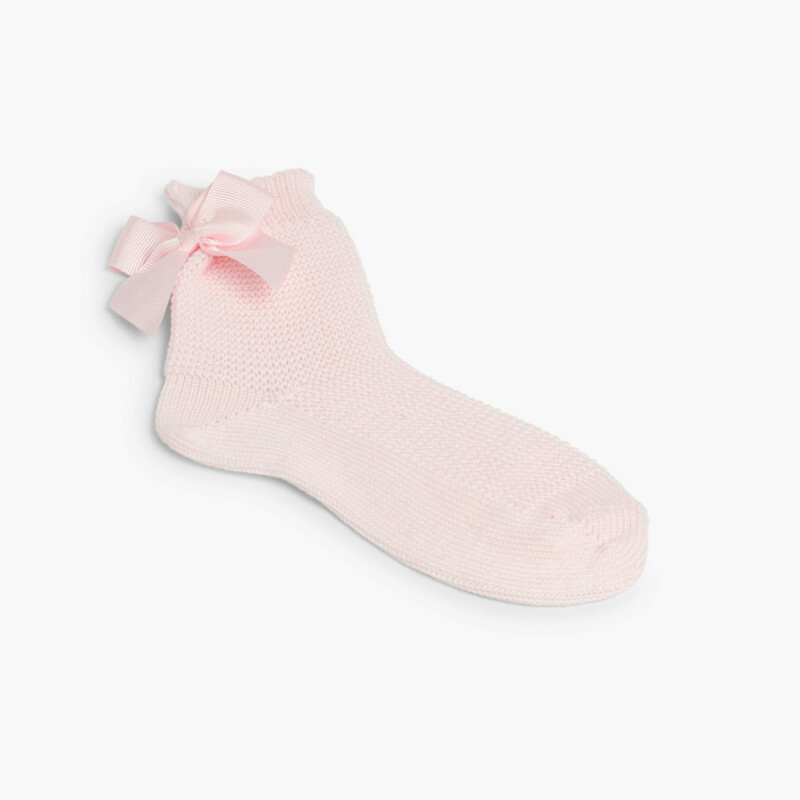 Is it a warm day, but you don’t want her to go without socks? 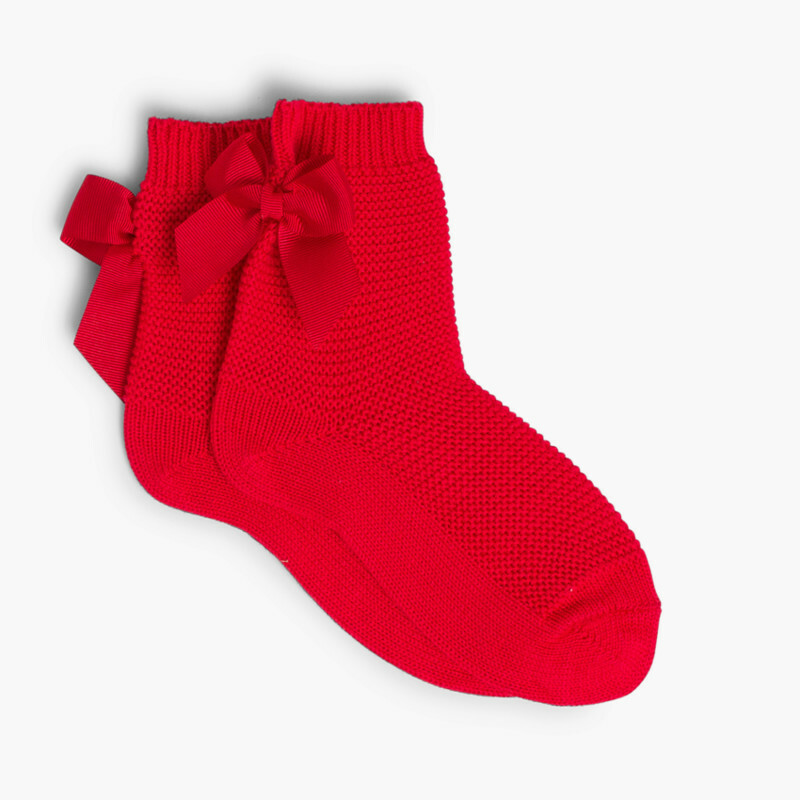 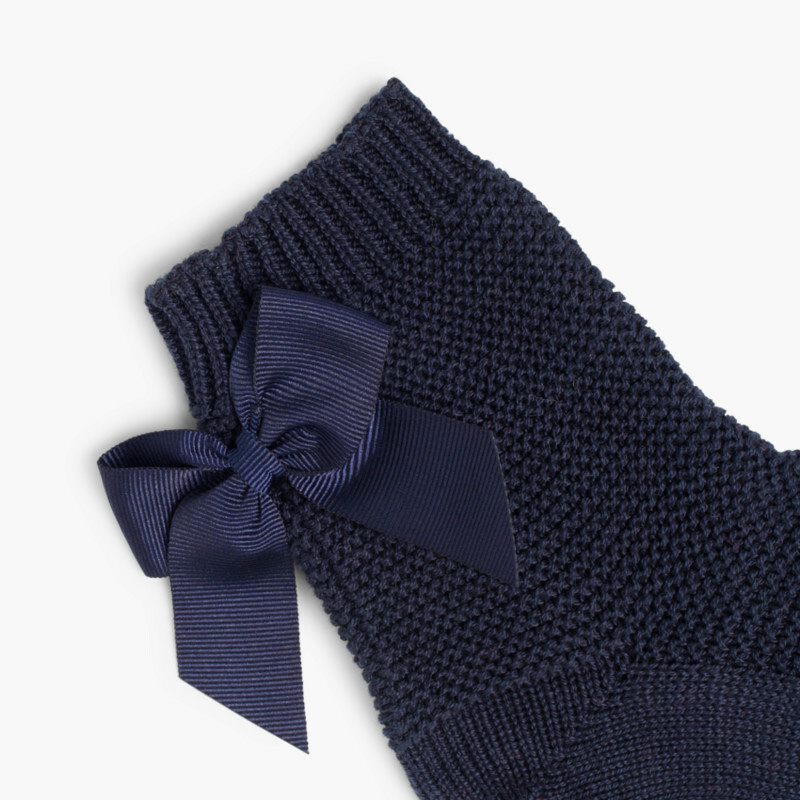 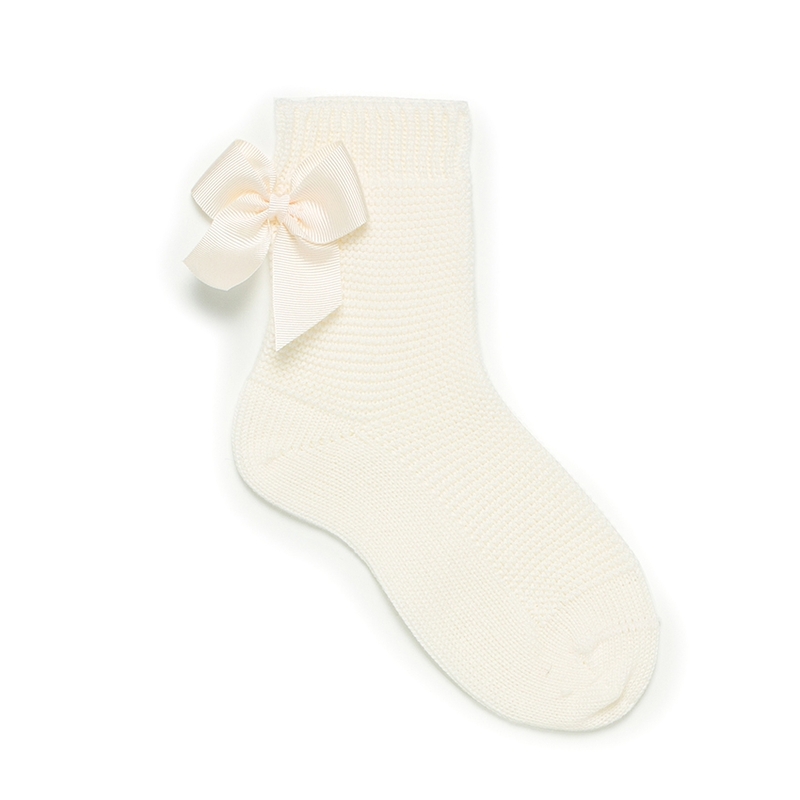 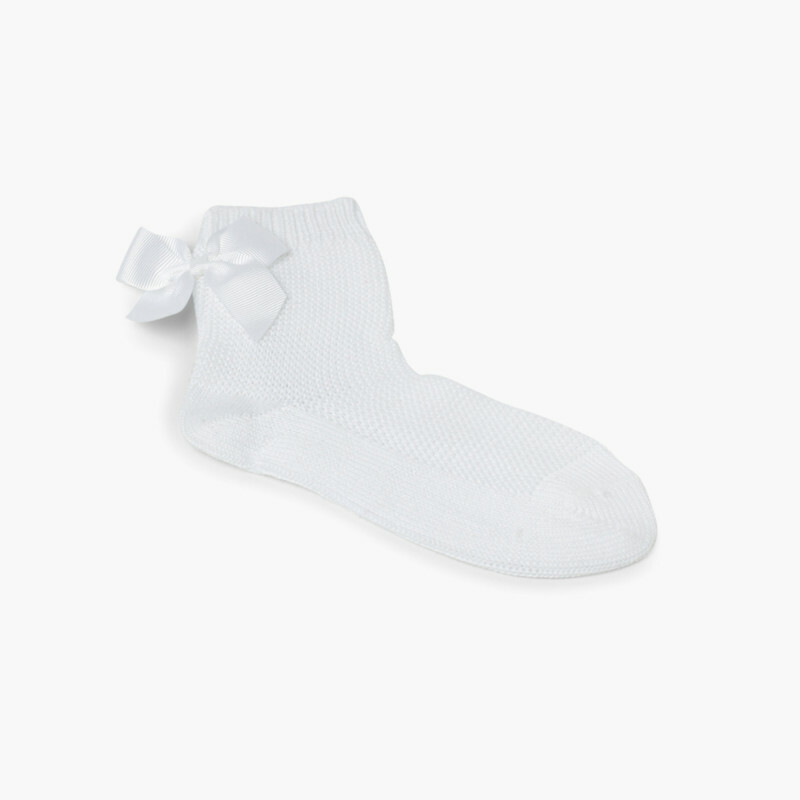 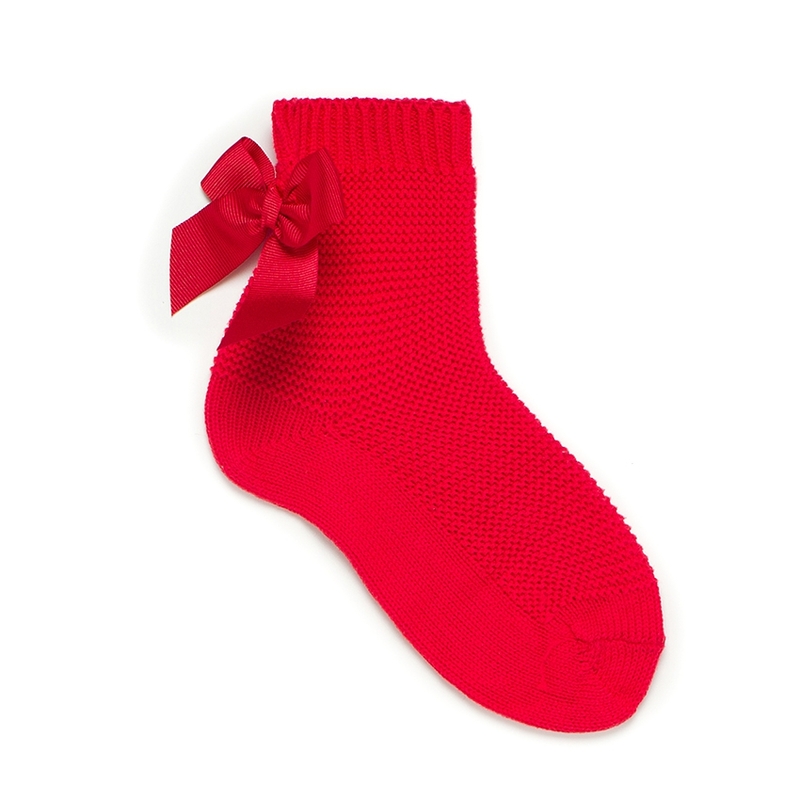 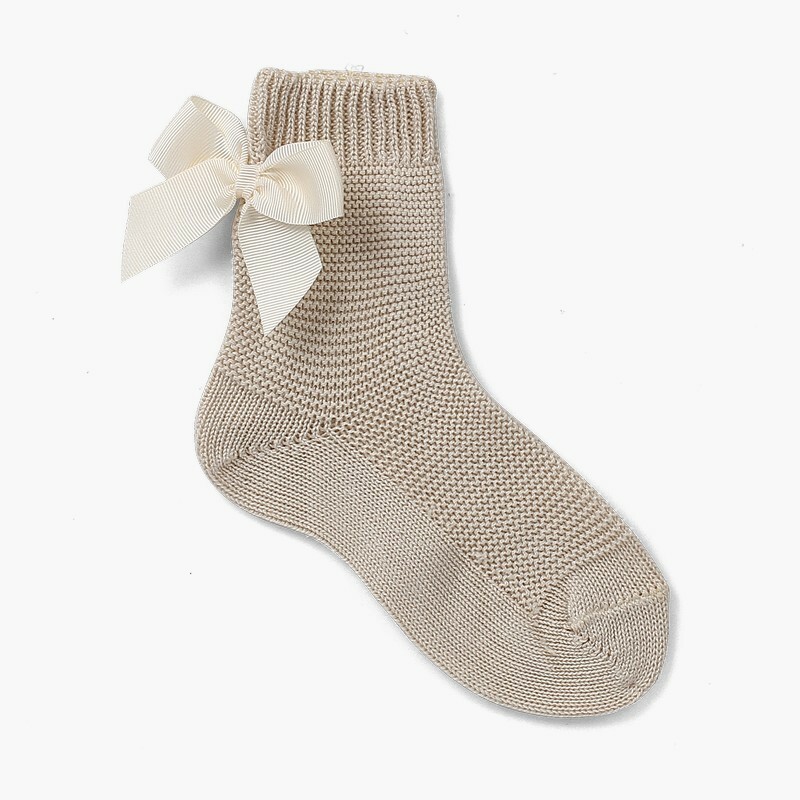 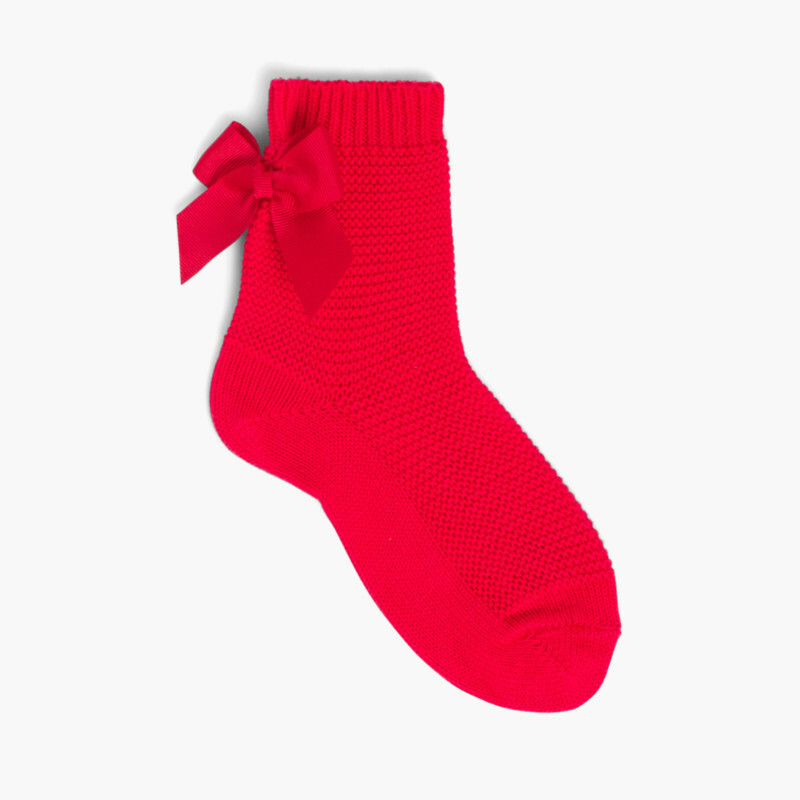 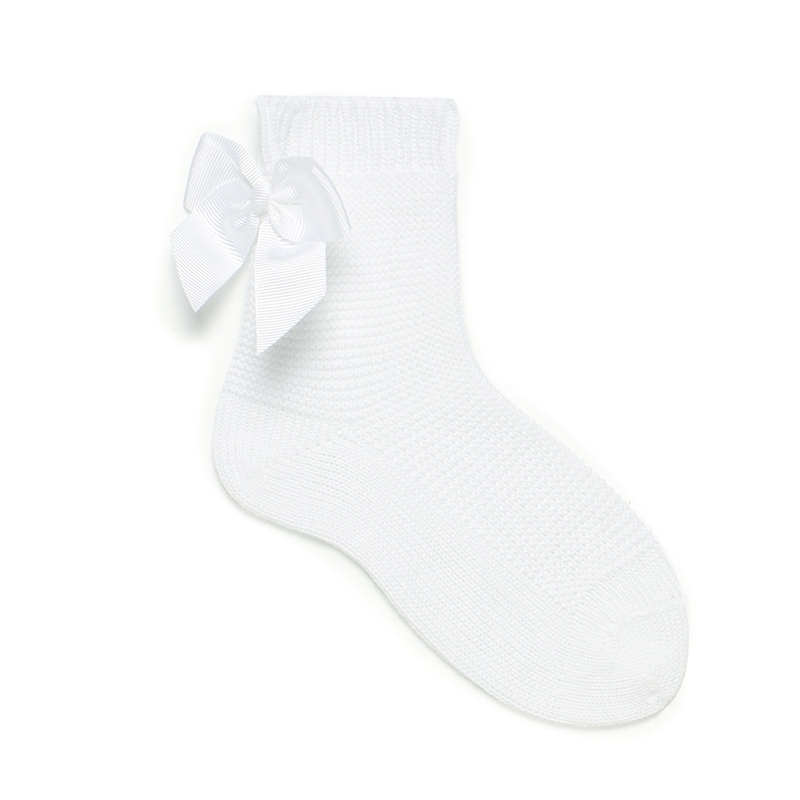 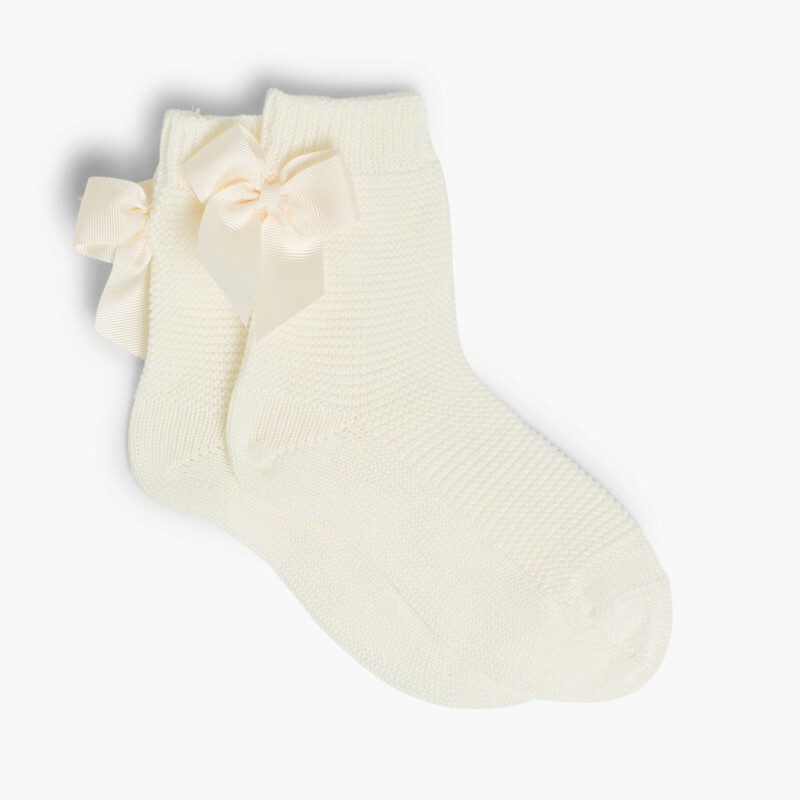 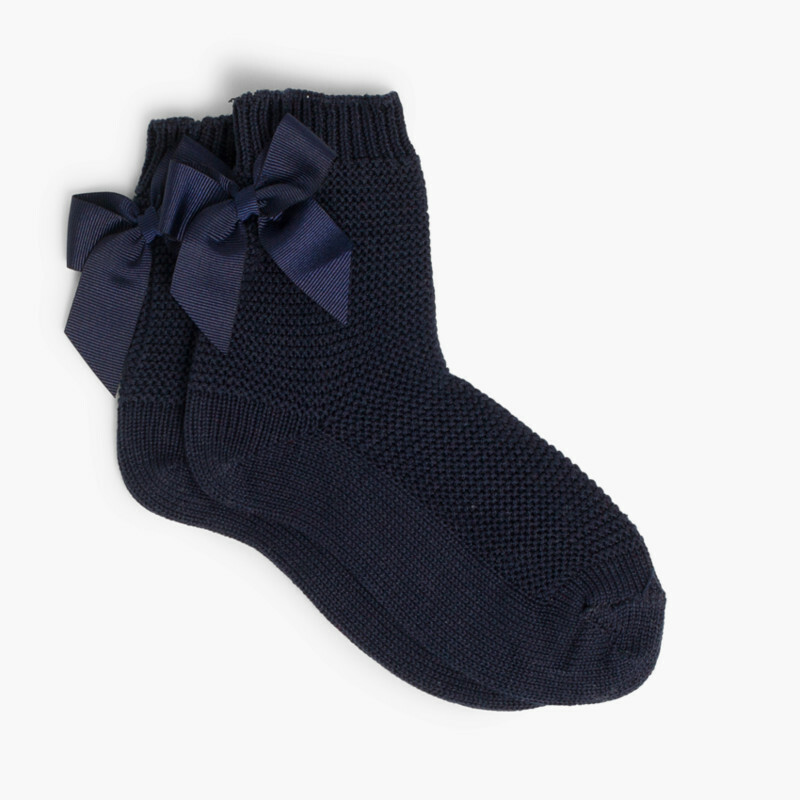 We have the perfect model for your little princess for occasions such as these, short knitted socks with bows. 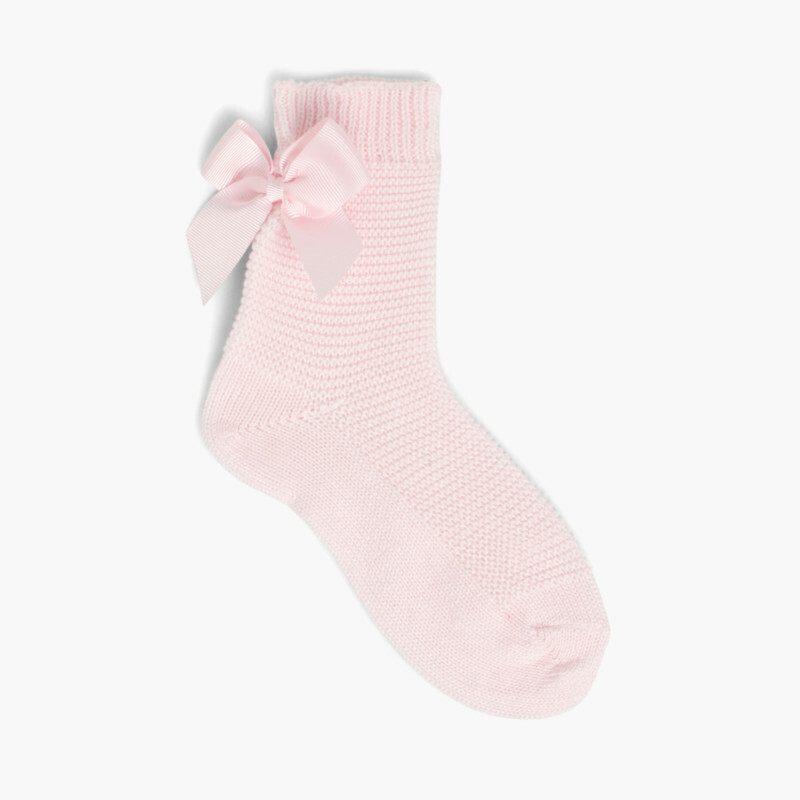 They’re sure to look great on her! 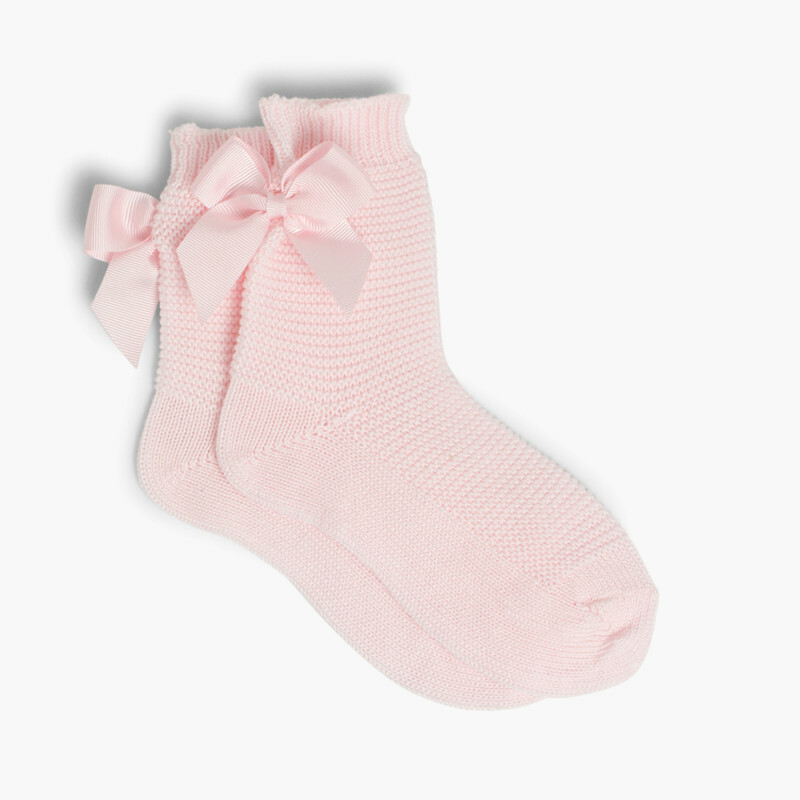 Is there anything more adorable than a little girl with bows on her socks? 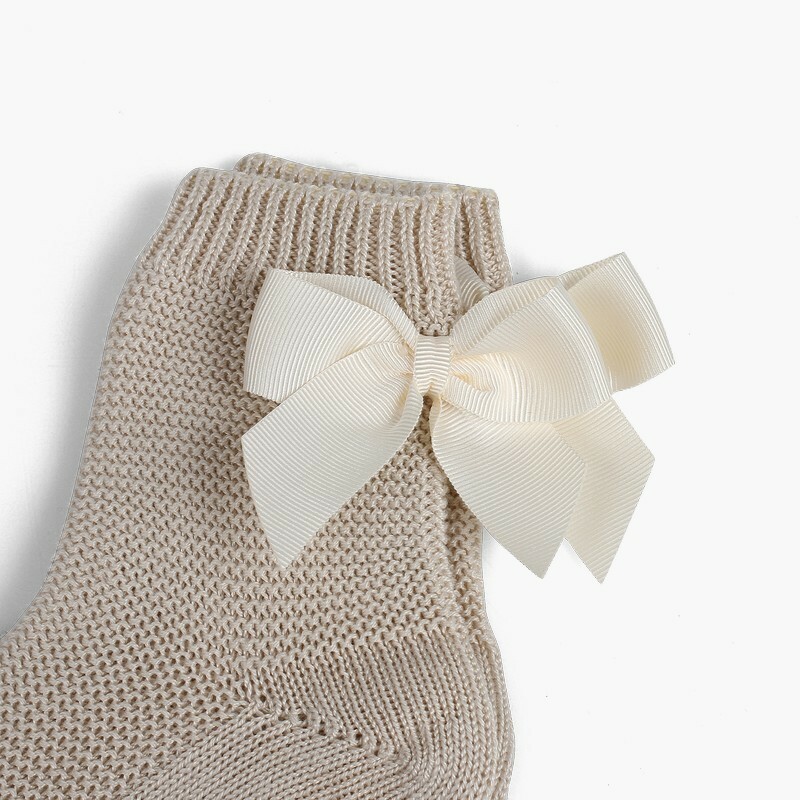 Match them with her fanciest clothes, and don’t miss out on our Mary Janes. 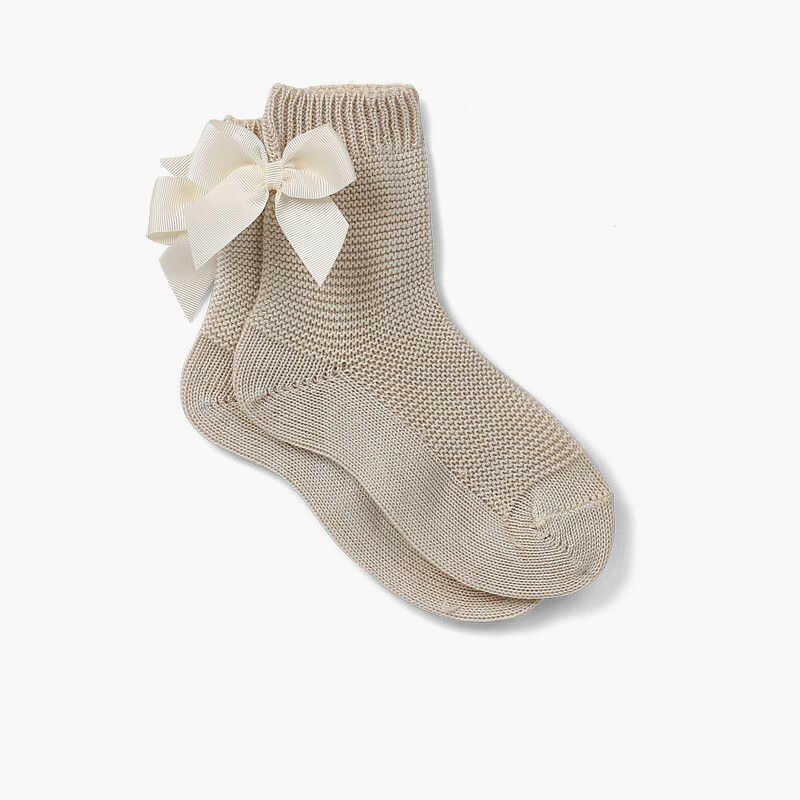 Mary Janes and socks with bows on, the perfect match! 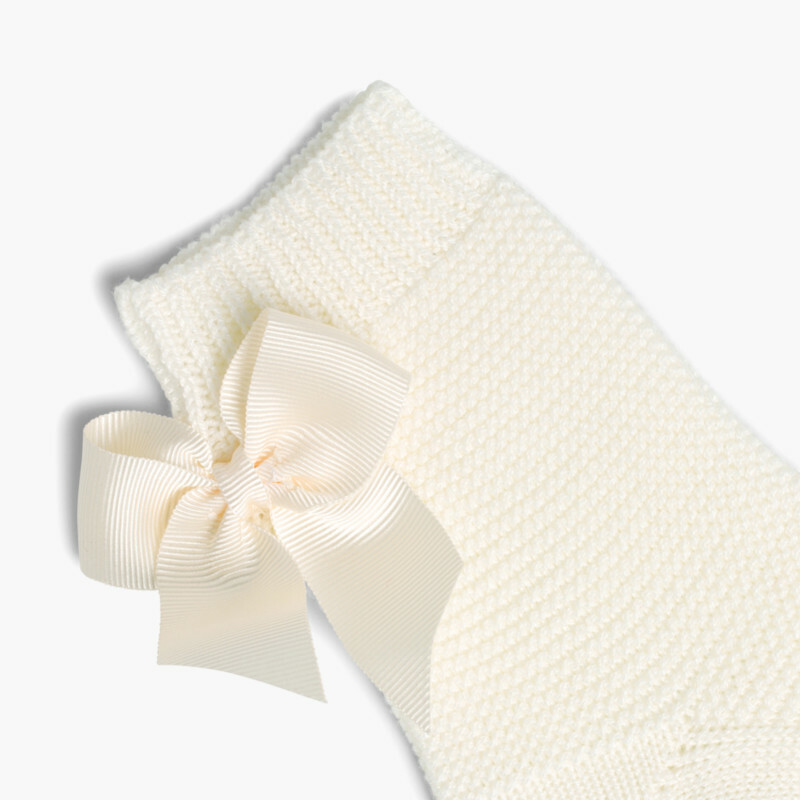 She’ll look gorgeous and fashionable. 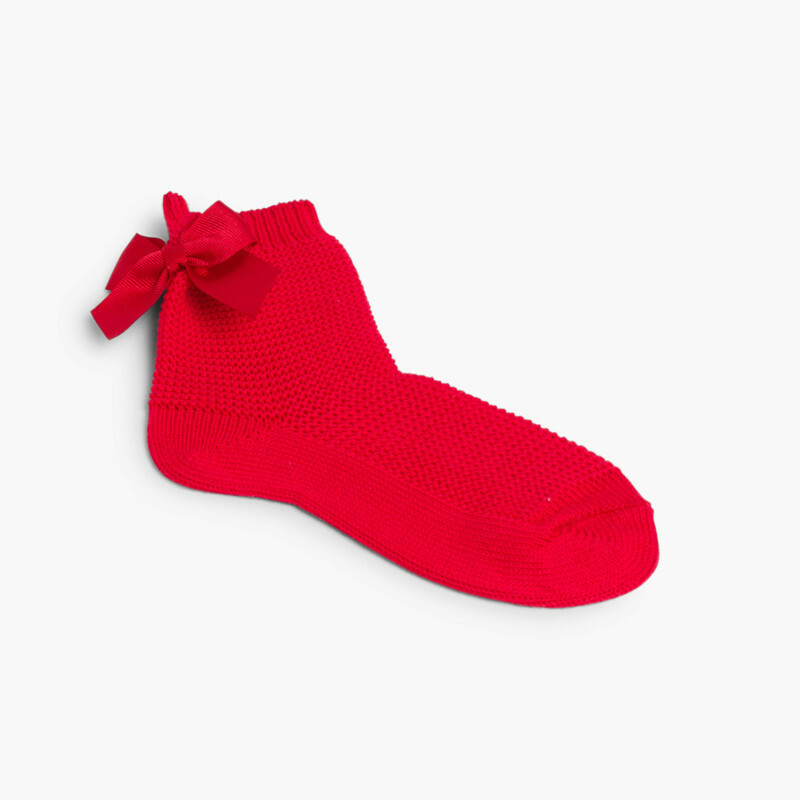 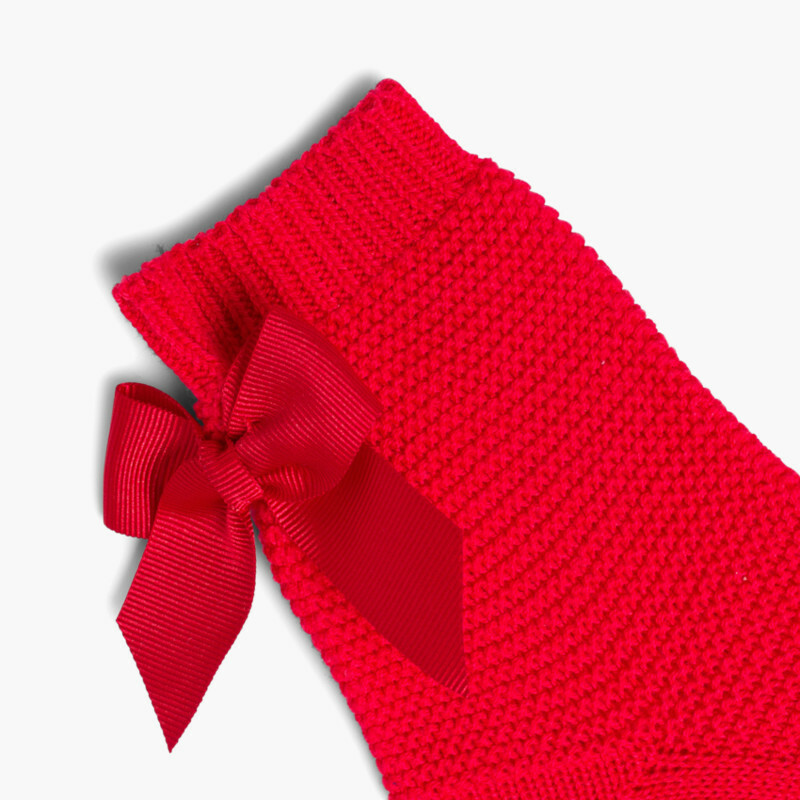 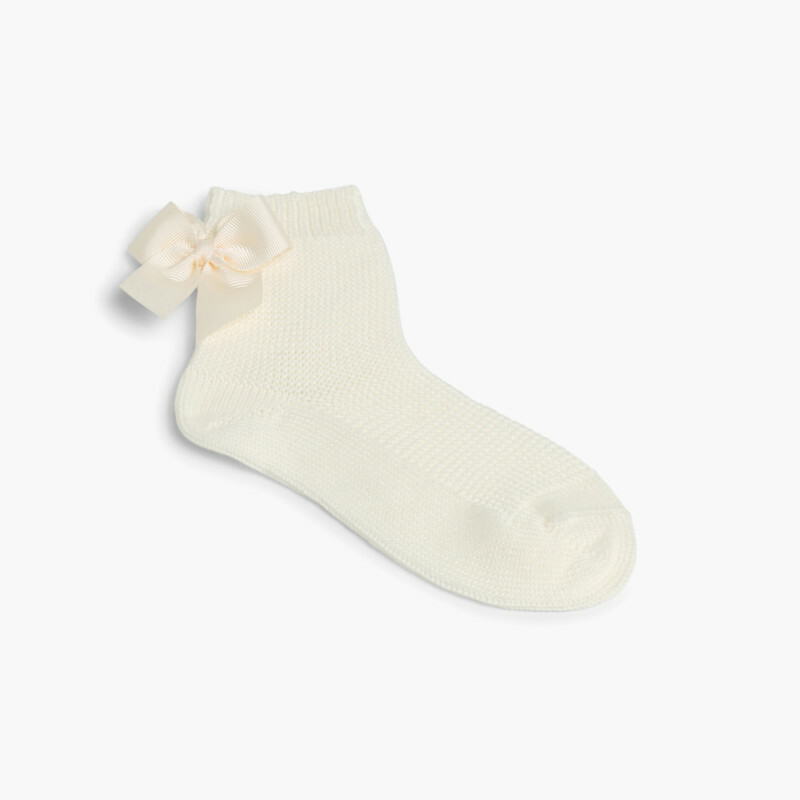 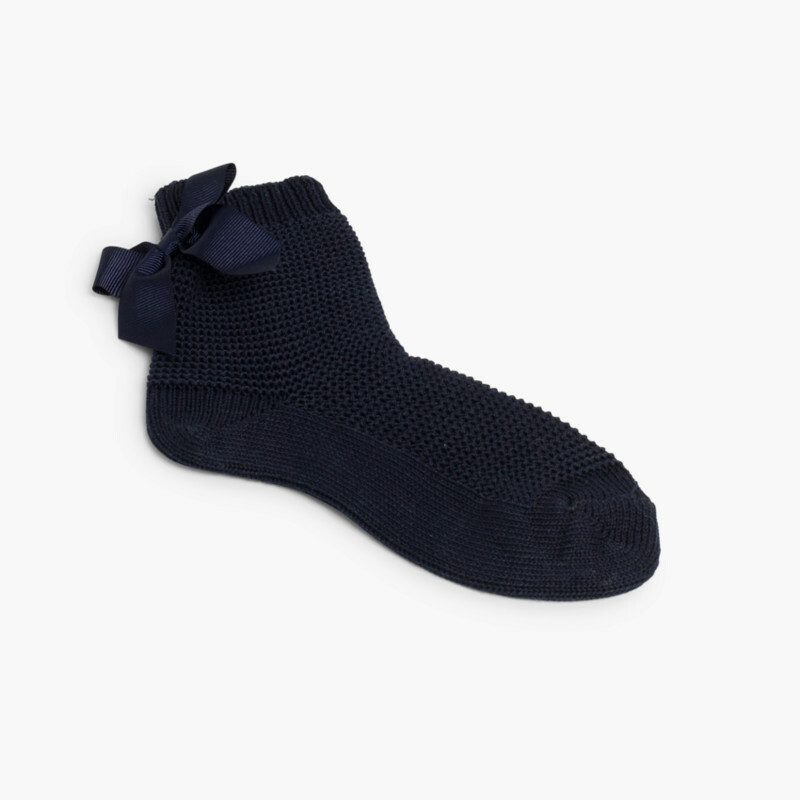 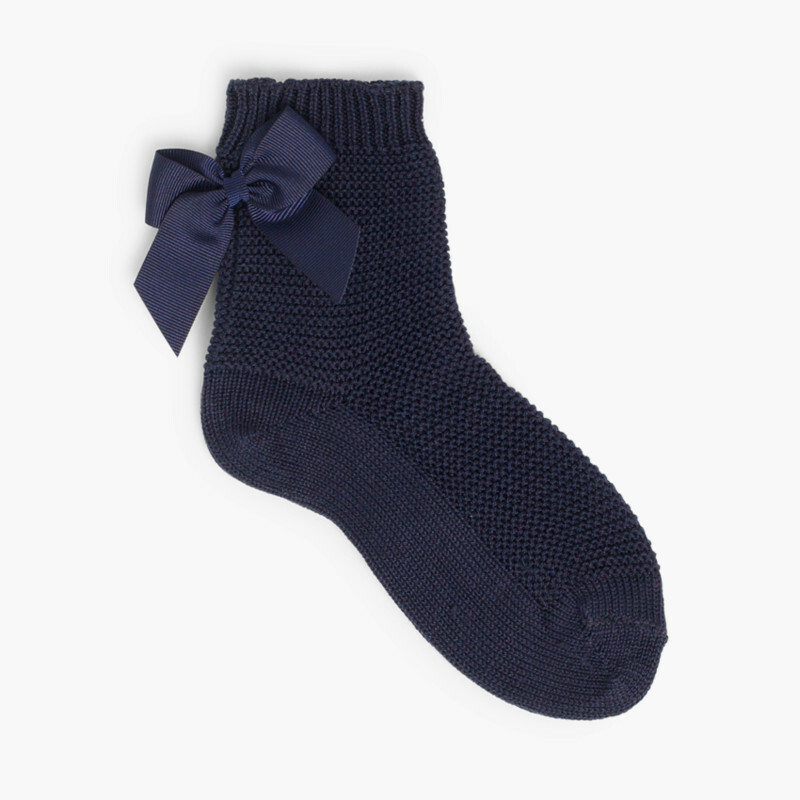 This style of sock is designed for those days when your little one needs to look fabulous, special events and celebrations, of which there are plenty during the summer months. 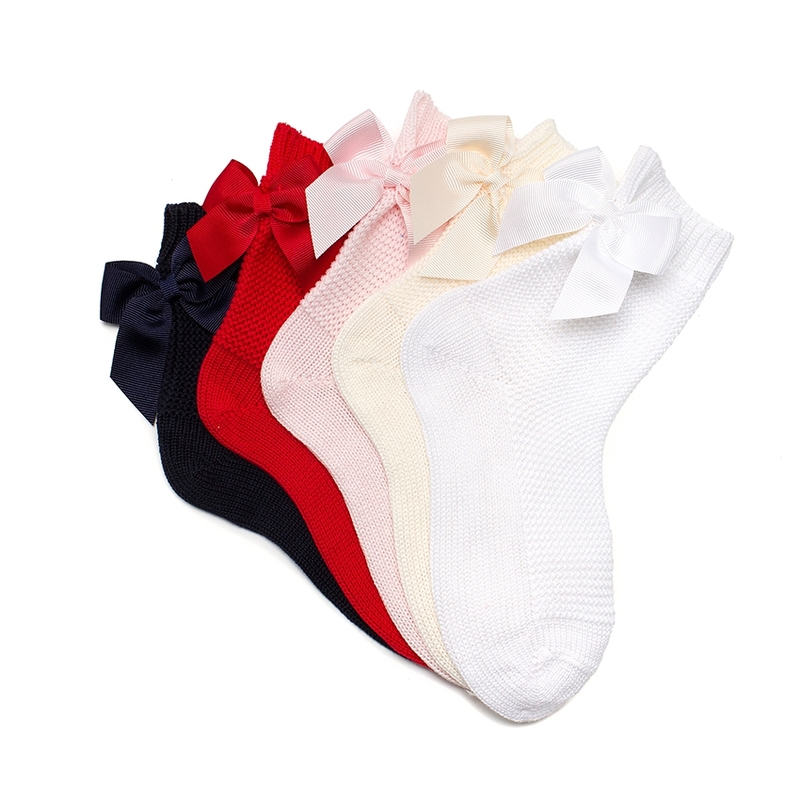 They’re available in 6 colours which will go beautifully with all their clothes. 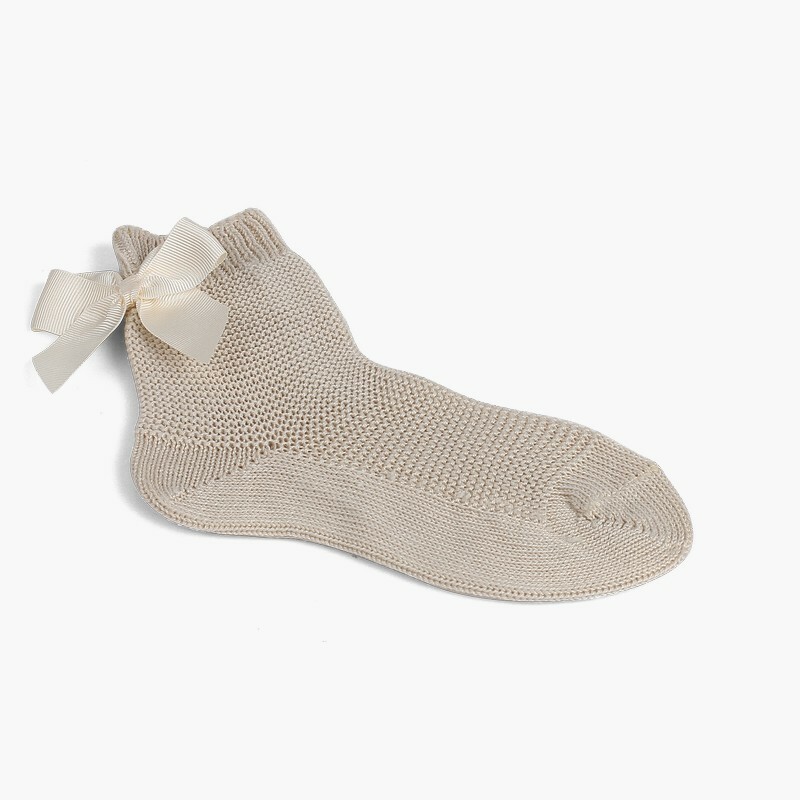 They will look great with any model of ballet pumps, Mary Janes, or classic Oxfords! Perfect for the summer or when the seasons are changing. 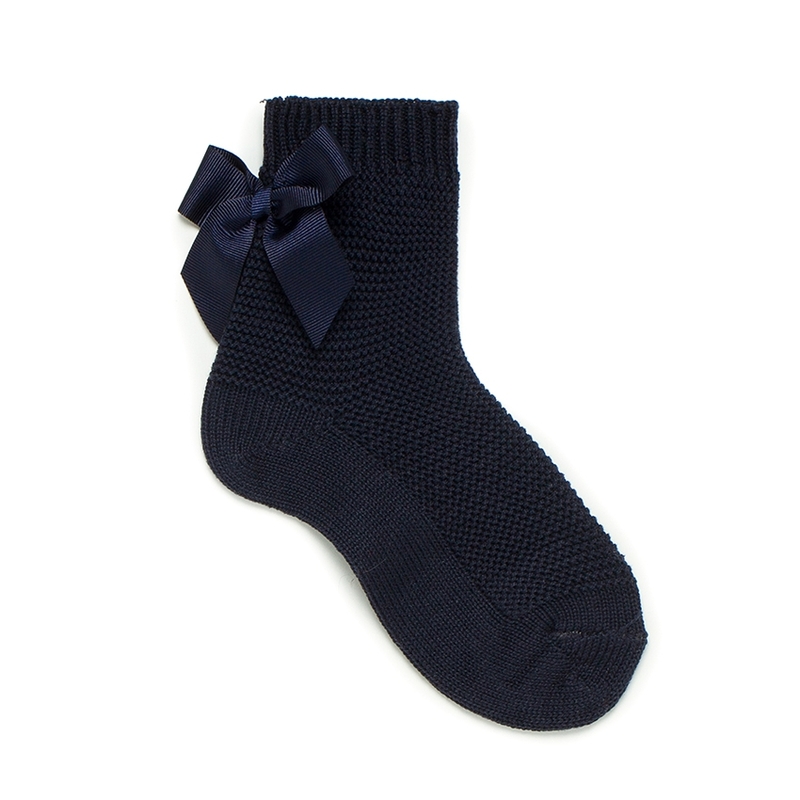 These are made by Condor, a well-respected brand that provides guaranteed quality. 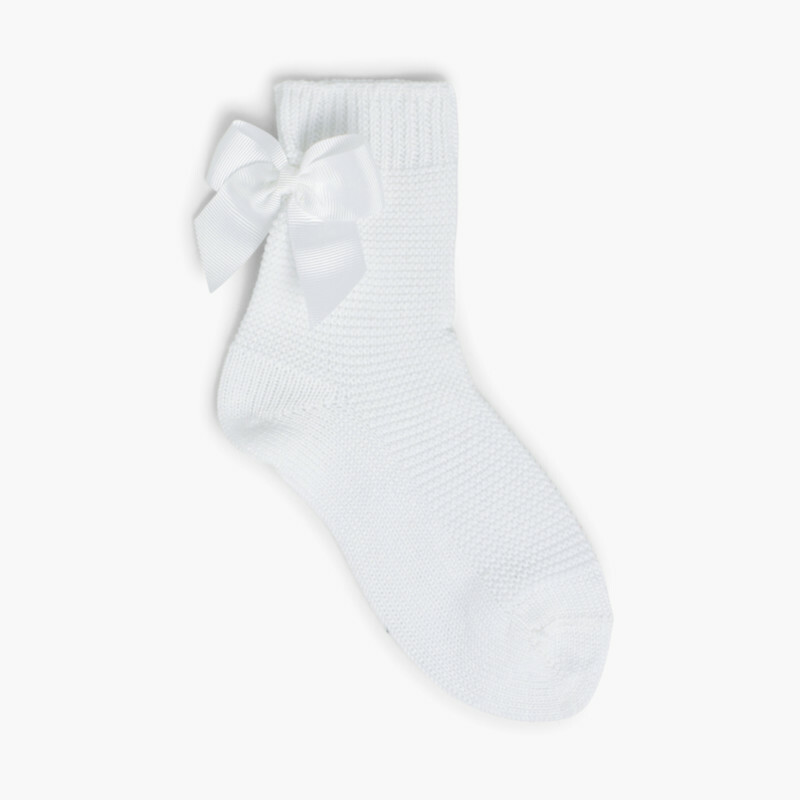 For hygiene reasons, returns are not permitted. 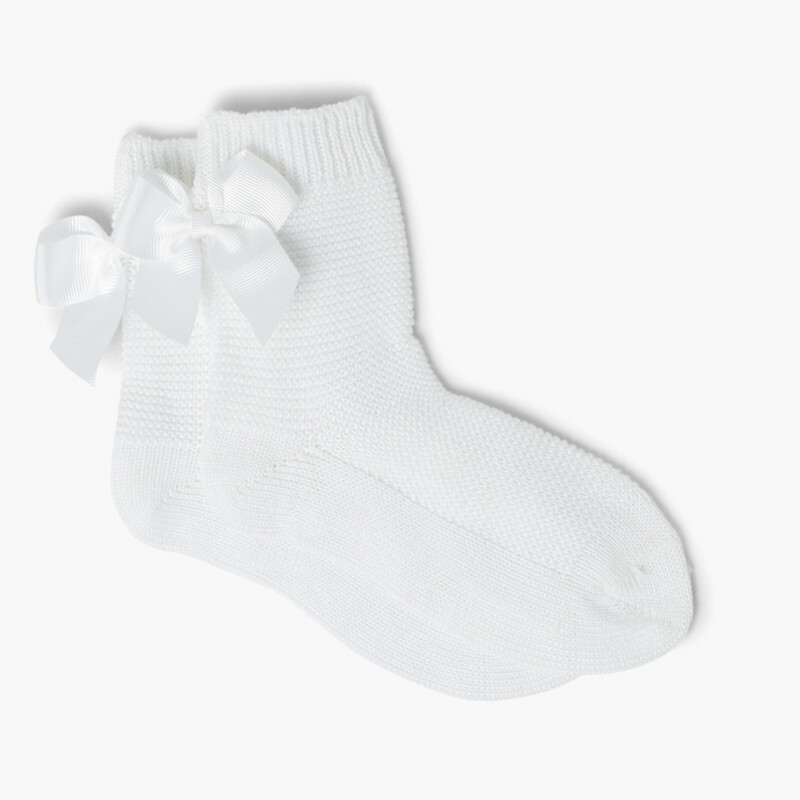 100% Algodón.